Another of our specialist tours, the Huarocondo or Moon Stone Trek is perfect for travelers looking for a deeper understanding of the Incan archeological sites and local Quechua communities that many tourists visiting Peru never get to see. Our route to Machu Picchu is fascinating and varied. As well as passing many of the quarries used by the Incas to build their cities, we will walk within some of the most spectacular mountain scenery in the Andes, surrounded by the peaks of Verónica, Chicon, and Salkantay. We also visit the Inca city of Wata and we will stop at the Canyon of Punku Punku (known as the gateway to the Andes). Camping with the support of our specialist team of porters and chefs, you will spend your nights in comfort under the most spectacular night skies; the displays of stars and constellations seen in this part of South America are simply breathtaking. You will be accompanied at all times by one of our expert guides who will explain the history of the Incan sites, while pointing out some of the unique flora and fauna along the way. Of course, no tour to the area would be complete without a visit to the ancient citadel of Machu Picchu, and after taking an early bus to see the sunrise over the Andes, your guide will give a full 2-3 hour tour of this new 7th Wonder of the World. *Please note that due to inclement weather conditions between December and March, this itinerary is only available from April 1st until November 30th. After we pick you up from your hotel in one of our private vehicles, we will go towards the Pampa de Anta. After one hour of driving, we will arrive to the Killarumiyuc archaeological center, a place that the Incas used to farm and chart the Incan calendar. After viewing the agricultural experimental center, we will continue to the village of Huarocondo, known for its lechón (roasted pig). We will visit the town’s colonial church and the quarries that the Incas extracted from to build Sacsayhuamán where we will find local people continuing to work the stones. Then we will continue towards the valley for 25 minutes to the starting point of our trek (Parpiso) where we will meet our horsemen. From here, we will begin our journey ascending gradually around the outskirts of the mountain. We will observe valleys, mountains, archaeological centers and the impressive Inca city of Wata, the guardian of the valley of Pomatales. We will visit the city and admire it for its strategic location before heading uphill for 2-3 more hours towards Chillipawa, the village where we will spend the night. We will also have the opportunity to take part in the daily lives of local people. 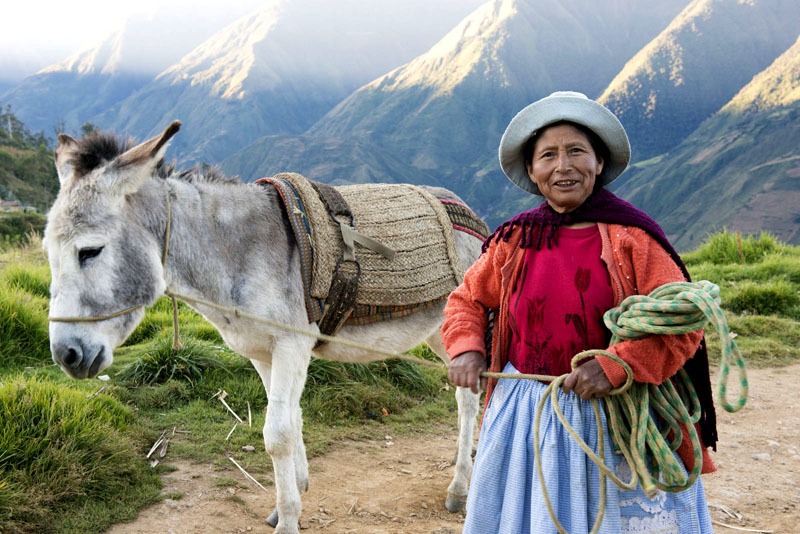 After breakfast, we will reach the Accoccasa Pass where we will find Andean people continuing age-old Incan traditions surrounding agriculture, religion, music, language and others. Once arriving to the pass, we will feel like we are in the Andean sky, feeling the cold and dry air and looking at the most important mountains of the region: Verónica, Chicon, Salkantay, Ausangate, and Huayanay. Looking at the mountains will give us a great idea of how the Andes formed. We will also be able to see llamas and alpacas. After taking in these incredible views, we will descend for an hour until we arrive at the campsite. After spending the night at the local village, Chancachuco, we will continue our trek to the Incan site at the marker “11 kms,” which will show us the complex aqueduct system that the Incas used. As we descend, we will go into the impressive canyon of Punku Punku, known as the entrance gate of the Andes. Towards the valley, we will notice that the climate becomes semi-tropical. We will then leave the small valley and continue around the outskirts of the mountains, taking in the views of valleys, snow-capped mountains, rivers and birds. We will then arrive to the Intiwatana Temple located at the highest point of the area. This area was important for the Incas to make astronomical observations and to plan the agricultural year. Then, we will reach the Cachiccata quarry where the Incas extracted stones to build many cities, namely Ollantaytambo. 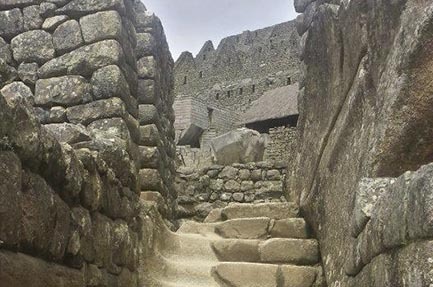 Cachiccata was an Incan city inhabited by Incan architects and hundreds of workers from different regions of the empire. In Cachiccata, it is even possible to find buildings used for administration, housing, terraces, funeral chambers and irrigation channels. The streets are notably very well planned. After breakfast, we will go to Ollantaytambo and then take the train to Aguas Calientes. We will spend the night in a comfortable hostel in Aguas Calientes. After an early breakfast, we will take a bus to Machu Picchu and be there for the sunrise. We will register in Machu Picchu and start our 2-3 hour guided visit. After enjoying the ruins, we will take the return train to Cusco. Your 2 day machu picchu inca trail awaits.